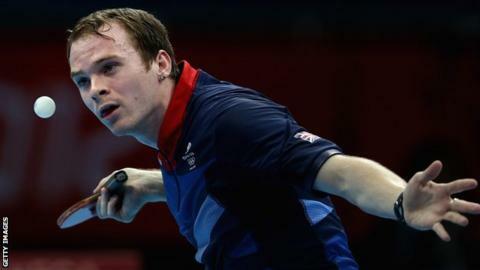 Paul Drinkhall became the first British player to win an ITTF World Tour singles event for 18 years by taking gold at the Spanish Open on Sunday. The number 22 seed beat Japan's Masataka Morizono 11-7 11-9 6-11 11-5 6-11 11-8 in the final in Almeria. The 24-year-old Englishman said: "It's definitely up there with anything I've achieved in my career." The only other Briton to win a World Tour singles title was Carl Prean, in Rio de Janeiro, Brazil in 1996. Drinkhall, from Cleveland, said: "I'm feeling tired but feeling amazing, it's a great achievement. Hopefully there will be more to come." A silver medallist in the team event at the 2010 Commonwealth Games, Drinkhall reached the third round of the singles at the London Olympics. He won three European youth titles and was twice BBC Young Sports Personality of the Year runner-up.